Home > Tech news > Are you sitting for long hours ? Watch this video!! 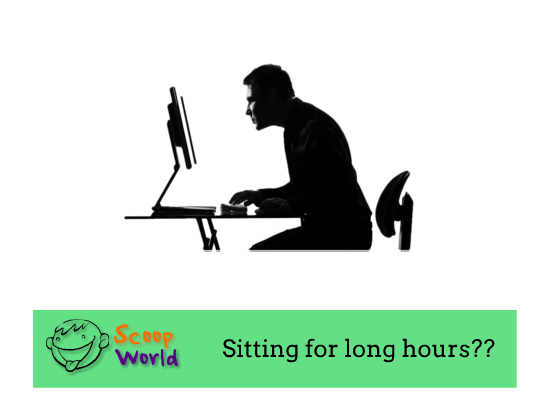 Are you sitting for long hours ? Watch this video!! Sitting for long hours in office,colleges etc can increase your heart diseases significantly.Yes after a research conducted scientists have declared that sitting for long hours in front of computer,in schools,colleges,can result in premature death,heart diseases etc.In order to avoid such problems we must understand the basics of sitting.Have a look on the series of videos.. Sitting for longer hours makes your muscles more stiff,poor balance and mobility,and pain in the lower back.Continue this for more years results you in serious health hazards.So your question is how to sit properly.